In the modern day, the apps that live on our smartphones have their grubby little fingerprints on nearly everything that we do, taking the hard work out of many daily tasks like navigation, banking, and communication. I’m not sure if this has this made us more efficient, more lazy, more dependent, or maybe a combination of the three. But for better or for worse, our daily lives have changed forever because of what we can carry in our pockets, and similarly, the way working and hobbyist photographers prepare for their shoots has been evolving. Just 10 years ago, the landscape shots that I now make for a living would have required research and calculations with maps, compasses, and sun/moon/star charts, and then at least a day of on-location scouting to see the precise angles and paths of the celestial bodies through the sky above my subject, before I even take the cap off of the lens. Now, this kind of preparation can often be done in just minutes with an app called Sun Surveyor that bundles all of these tasks into a neat package. I can prepare for a shot anywhere in the world, even for a location I’ve never set foot on before, as far in advance as I’d like. There are several apps out there that perform similar functions. Photopills is chock full of features, but is extremely cumbersome and complicated to use. 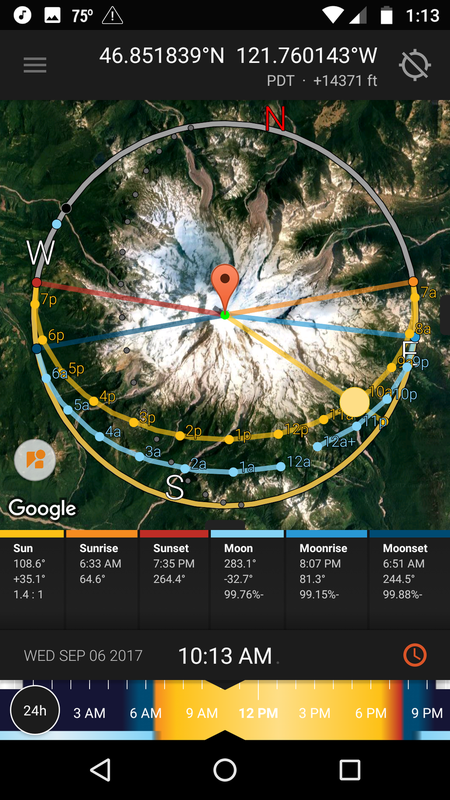 The Photographer's Ephemeris was the first app of its kind on the scene, but has since been surpassed by other apps in terms of comprehensiveness and tool selection. Sun Surveyor, available for Android or iOS devices, is in my opinion the best smartphone app for helping me plan my landscape photo shoots, thanks to its combination of features and simplicity. The basic and free version of Sun Surveyor, called Sun Surveyor Lite, gives you the simple 3-D compass tool that lets you orient yourself in your shooting environment and overlays the calculated path of the sun throughout the day, and precise times for sunrise, sunset, and twilight periods. It also includes the Ephemeris, a detailed chart of information about the sun. The addition of complete information and predictions about the moon and milky way in the ephemeris and visualization modules. Photo Opportunities: A list of upcoming significant photo moments, such as full moon rises, and milky way appearances. Map view shows how the sun and moon interact with the the overall landscape around your location. For instance, you can see which face of a mountain will receive light at a certain time. 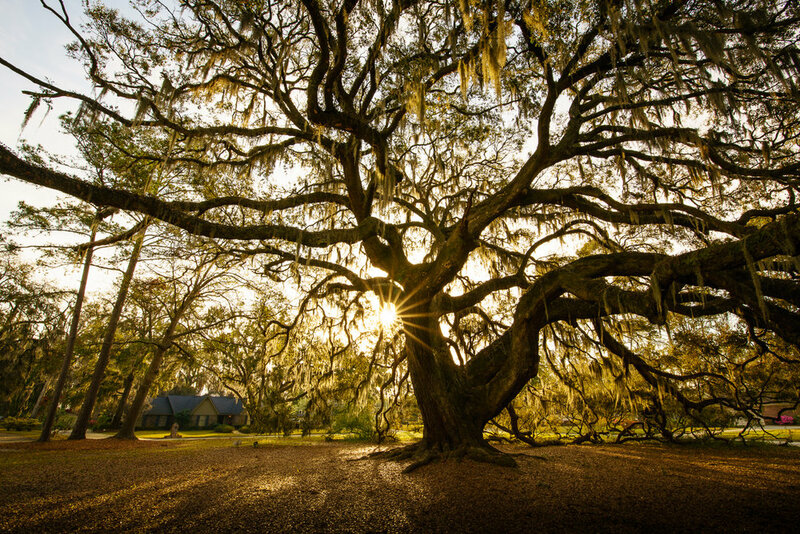 Plan your shoot based on the topography of any location, near or far. Live view is great for figuring out if and when the sun or moon will be obscured by tall objects around you such as trees and mountains, or small landscape features in your location that are too small to see on a map. All of Sun Surveyor’s modules allow you to manually choose any location, date, and time, so you can prepare for a shoot at any place on earth, for any time! While we’d been using Sun Surveyor for several years and even teaching it to our students in workshops and tours, the app itself had never had any formal demo or usage tutorials for its users. But thanks to our intimate knowledge of the app, we were enlisted by the developer to create this much-needed material. So, Sun Surveyor is now easier to use than ever, thanks to the complete line of video tutorials that we produced about the app! 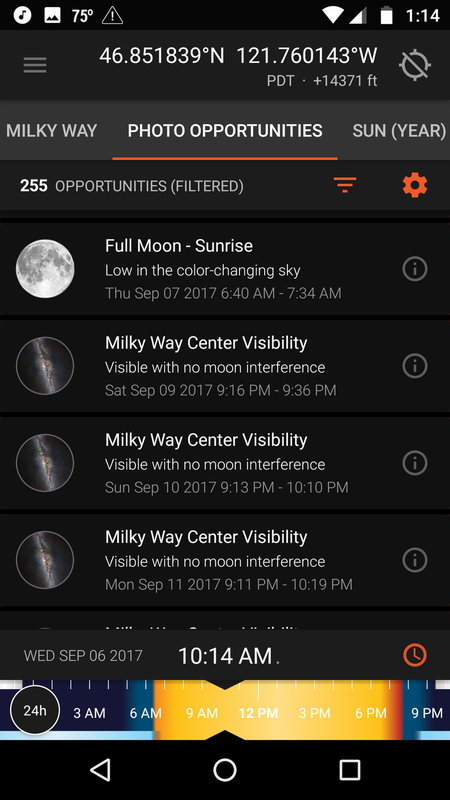 We walk you through the app in a quick overview lesson, then go into greater detail on each specific component of the app, and then give you actual usage scenarios for shooting the sunrise, milky way, and full moon (a Supermoon, no less!). You can view our videos here on our website, or in the app itself in the 'Help' section. Download the app here and try it for yourself, and you’ll see just how amazing it is. And the next time you come on a tour with us, you’ll get to learn how to use it to dial up some amazing shots in the world’s most picturesque locations. Check out our 2018 tours here!